Renault and Nissan have announced the formation of an R&D joint venture in Shanghai, China. The Alliance Automotive Research and Development (Shanghai) will be referred to as the Alliance Innovation Lab Shanghai (AIL-SH), with Renault and Nissan each holding 50% of the entity. The AIL-SH will conduct research and development focused on autonomous technology, connected vehicles and electric vehicles. Technologies developed by the joint venture could potentially be applied to Renault and Nissan vehicles sold in China and around the world. 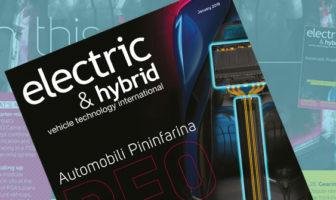 Under the Alliance 2022 mid-term plan, 12 zero-emission electric vehicles are due to be launched by 2022, 40 vehicles are to be introduced with different levels of autonomy and over 90% of vehicles will be connected cars globally.